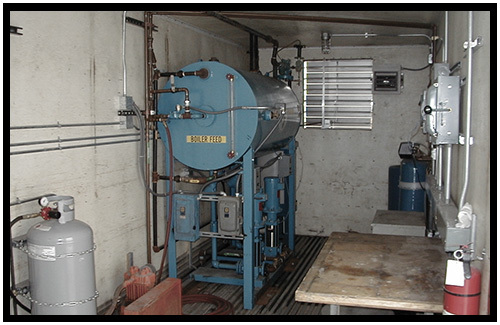 If the words “unscheduled steam outage” causes fear and anxiety in your plant management and operating personnel, or a scheduled steam outage means a production loss, consider one of our Mobile Boiler Rooms to alleviate these fears. Our units are Ohio Special firetube boilers up to 225 HP housed in a van type trailer. They are capable of burning natural gas, or No. 2 fuel oil. NBW also has access to mobile steam generating units up to 150,000 pph, 750 PSIG, 750 degrees F superheat, as well as mobile feedwater systems. 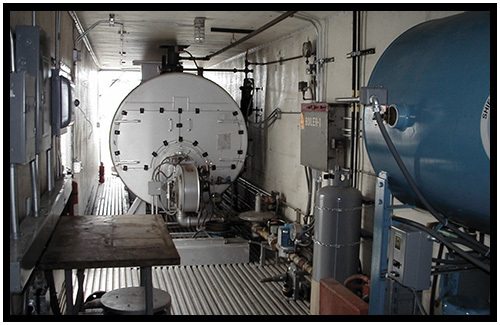 Once the mobile boiler room trailer arrives at your facility, simply bring electrical service into the transformer then connect the fuel, water, and steam lines. Our service technicians will start the boiler up and familiarize your personnel with the operation of the equipment.